Uvirith’s Legacy installs platforms that summon magic doors to every Telvanni tower. This magical desk sorts your ingredients and apparatus for you. Store or take them all with the click of a button, or open it like a regular container. Summon weather on a whim for the surrounding region. Call down blizzards and blight, or just a gentle sunny day. With these enchanted quills and gemstone inks you can write a selection of scrolls from every school of spells. This nifty magical dingus changes NPCs into rocks. Make everyone in Vvardenfell dread your coming, or just use it to stop them blocking doors. 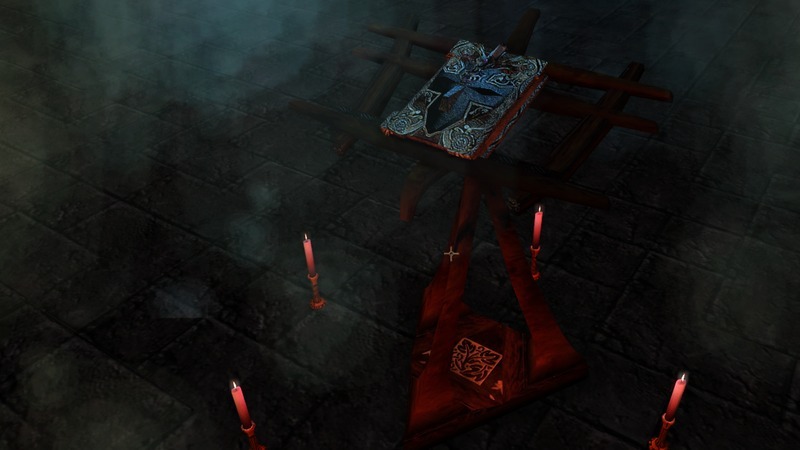 These ominous tomes summon angry daedra on anyone who dares touch them. 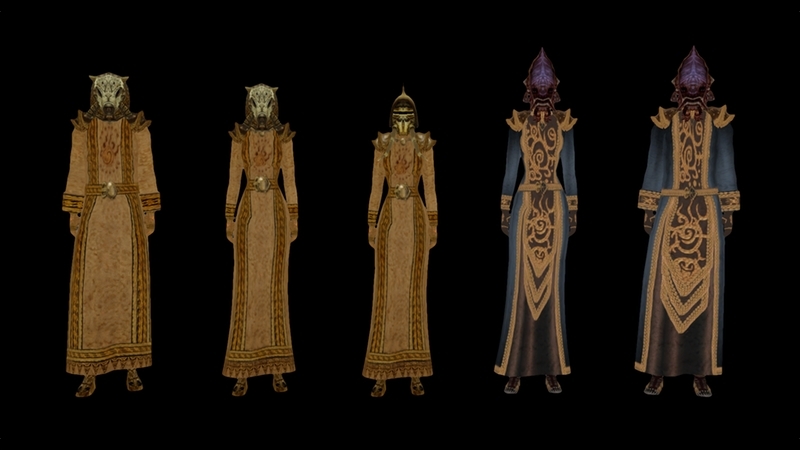 Uvirith’s Legacy includes the complete warlock set and adds a female version of the robe. Verena Uvirith’s clothes are shown to the right. 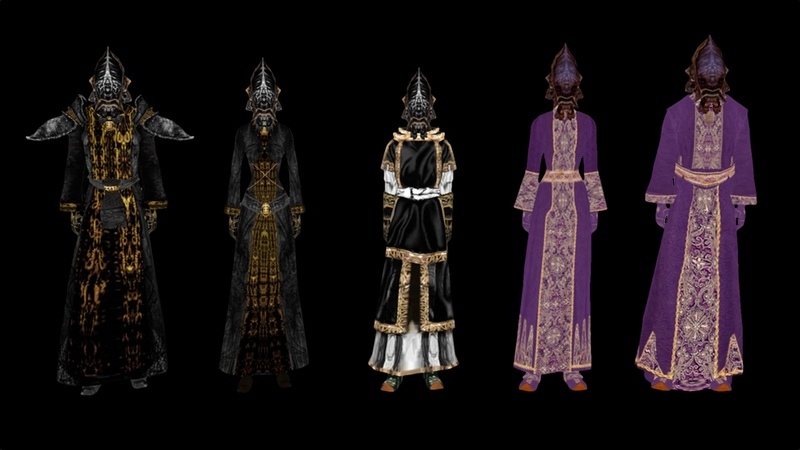 The Telvanni servitor robe comes in two versions (the grand servitor robe is center), and the Archmagister’s robe is shown on the right. You pick up these decorative chests when you remove the chest icon from their inventory. Dropping them brings up a positioning menu. All books added by Uvirith’s Legacy have unique covers. This is only a small selection. All major scrolls are works of art and can be automatically displayed in your library. Each author has a unique hand, some more legible than others. Every item is designed to be decorative or easily identifiable. Keys, amulets, and rings are by Daduke. The rest is my own texture work. Uvirith’s Legacy boasts a host of special items that go beyond the original game’s capabilities. 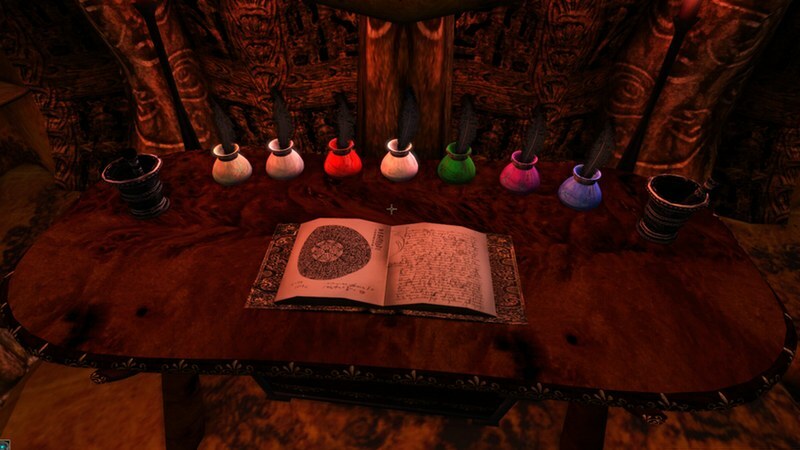 Uvirith Inside’s Alchemy Table and Bag of Holding have been upgraded, and the spell and enchanting tomes rebalanced. Rebalanced items are listed near the bottom of this page. 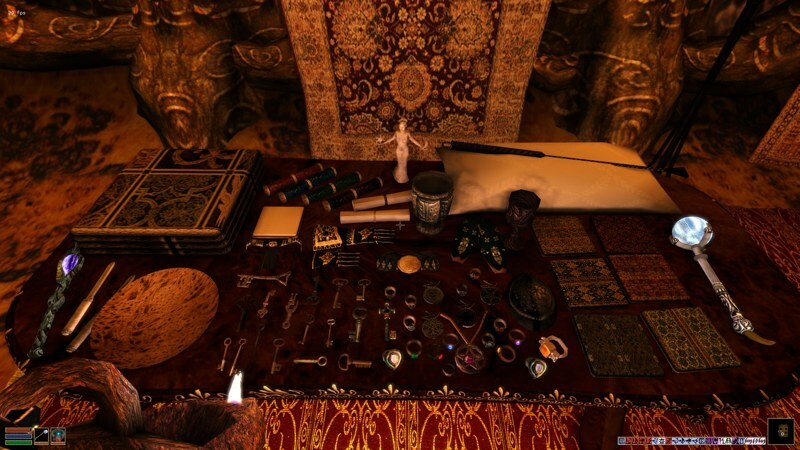 The quests to acquire special items range from simple to involved. 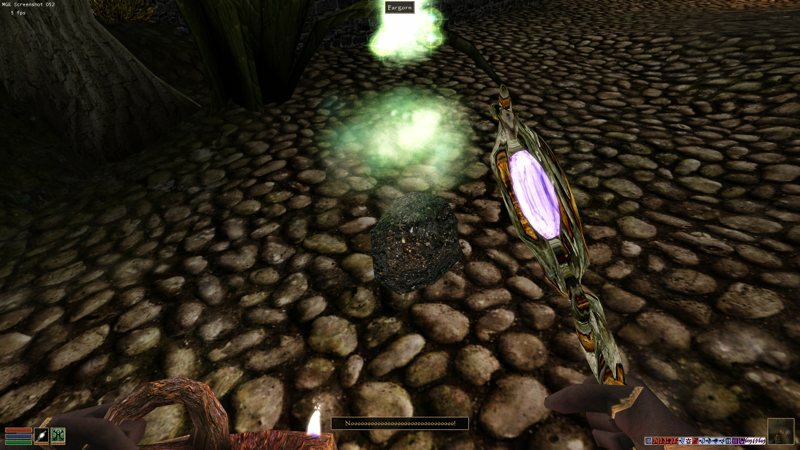 Magical items found in this mod are fairly balanced, either by making them no more powerful than objects already found in the game, or by adding detrimental effects to their enchantments as well. These platforms are found in the Telvanni Council House, Tel Uvirith, and all other Telvanni Towers. When you activate a platform, choose your destination and a door to that tower appears. Using doors means this travel system is companion friendly without needing special teleportation scripting. You need a key to unlock each platform before use, which you can once you become an Oathman of the Telvanni. Some platforms can’t be unlock without their owners permission. More details are available in the walkthrough. 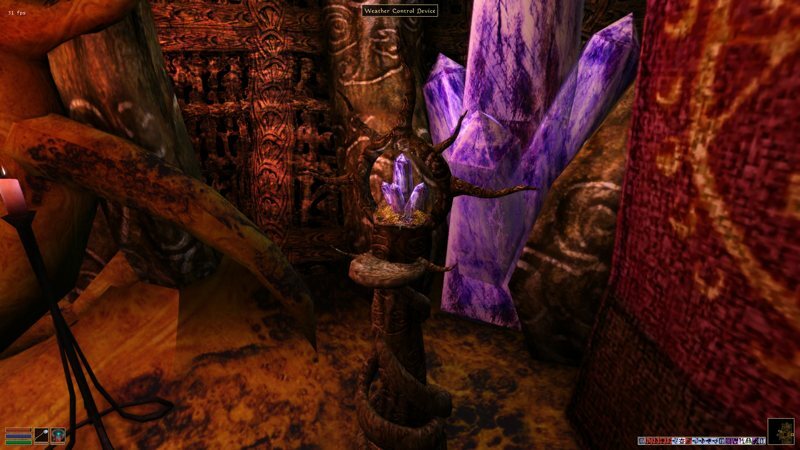 Uvirith’s Legacy 3 adds an option to build a teleportation device to the Vivec Telvanni Canton. 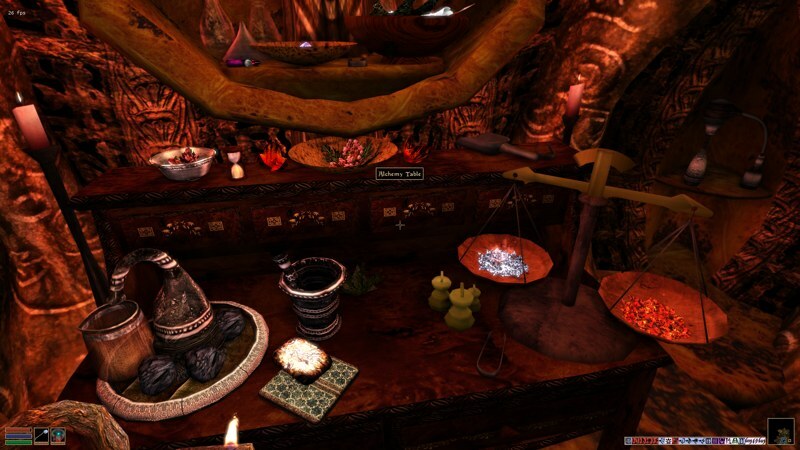 Completing the quest will add new devices to your tower and the Telvanni Council House. The RoHT compatibility add-on adds platforms to the RoHT towers, and the TR add-on adds platforms to most Tamriel Rebuit towers. The TR platforms require a different key, which you can get after joining mainland House Telvanni. You’ll find these scripted shoes in the Tel Uvirith upper tower, and Uvirith’s Legacy 3 adds a similar levitation belt. Powered by ambient Telvanni magic, you’ll automatically levitate in, and in some cases near, any Telvanni tower while wearing them. This levitation effect will disappear once you leave major areas of Telvanni influence. The RoHT compatibilty add-on adds this effect to the Rise of House Telvanni towers. Fast Travel Rings: When handed your tower key, you’ll also get a teleportation ring for Tel Uvirith. As you complete tower builds, more travel options will become available. Your ingredients are all in one convenient place. More ingredients can be added to the script without requiring space for new jars. The MWSE add-on works similarly to the Alchemy Storage Helper – all ingredients can be sorted no matter what mod they’re from. To get the table installed in your lab, ask Fast Eddie about “chores.” Once you start the quest, Eddie can to help you collect some of the required items. This magical bag is a container you can carry around, much like CD Cooley’s Better Portable Containers. The non-MWSE version requires you to be outside to fix the “72-hour bug” common to such containers. The MWSE add-on makes the whole process faster and more stable by letting you do it in an interior cell. To get the quest for the bag, ask Fast Eddie about “chores” again. He’ll also run errands to help with the bag’s construction. Once the bag is made, you need to enchant it. A book available in the game gives you full instructions. Once you’ve successfully enchanted it, you’ll need to give it a couple minutes to absorb the magicka. After it’s done sparkling, open the Bag of Holding and take the small inventory token. To open the bag, activate the token from the game world, or equip it on your character screen. This tower device allows you to control the weather for the entire region around Tel Uvirith. When you activate the device, you are given a weather choice menu. After selecting the weather, it takes a minute or so for the weather to change. The weather gradually resets back to normal depending on what weather change interval you’ve set in the Morrowind.ini file. Unlike the Amulet of Weather, which this was based on, UL adds Bloodmoon weather to the list of choices, so you can call down snow and blizzards on Molag Mar to really confuse the locals. Create magical scrolls with special inscription quills, ink, and paper. I’ve majorly overhauled the inscription quest, but the mechanics remain the same as Uvirith Inside. A book, available in-game, describes the process of inscribing scrolls. As of Uvirith’s Legacy 3.1, I switched two of the inks so they’re more consistent with each spell school’s color coding. Everything to do with inscription has had a visual overhaul. The quest for the inscription equipment begins with your apprentice. As of version 3.1, it has been upgraded from a dreary chain of fetch quests to ones that will test your understanding of inscription itself. You must perform a series of rituals to make each quill. Master Llapp will help you along the way. Once you’ve made your quills, pop them in the gem-colored inkwells and you’re ready to make scrolls. The TR add-on also adds the ability to make inks from Tamriel Rebuilt’s amethysts, opals, and sapphires. This magical wand lets you to turn NPCs into rocks. It’s a reward for completing a later quest for Mistress Dratha. The rock spell is an illusion, so NPCs turned into rocks can still move, talk, and fight. You’ll lose disposition for changing someone into a rock, and you can’t forward any quests with that NPC, as the only dialogue you will get is them begging you to change them back. The rock spell uses a pre-greeting system similar to Vampire Embrace to recognize rock NPCs. Changing someone into a rock is also initiated through dialogue. Select the topic “You are now a rock!” and the NPC will transform after exiting dialogue. Powerful mage lords and vampires are immune to this spell. You must have the wand in your inventory to change people into rocks and back again. The MWSE add-on improves the rock wand by removing the dialogue system and turning it into a spell, which you can cast while the wand is equipped. NPCs with high willpower are immune to this spell, and it may even backfire. These books summon angry daedra when you pick them up or equip them. They’re rumored a cosmic joke perpetrated by Sheogorath himself. As such, they can be found in ruins dedicated to this Daedric Prince. 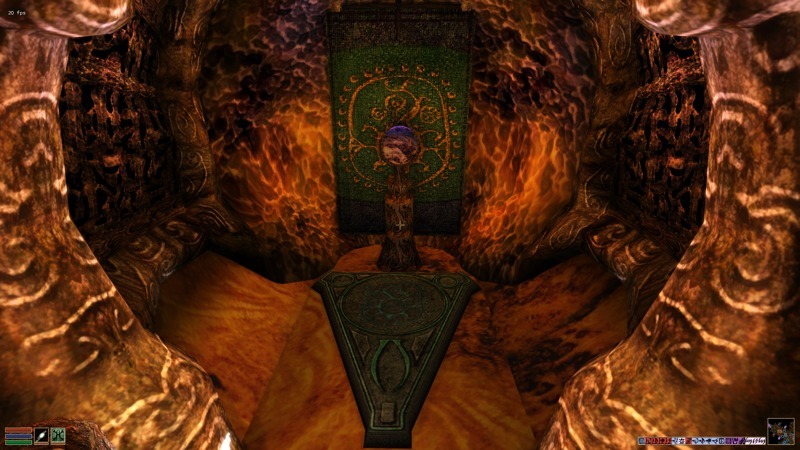 There are four full tomes, which summon a random daedra selected out of a certain level. 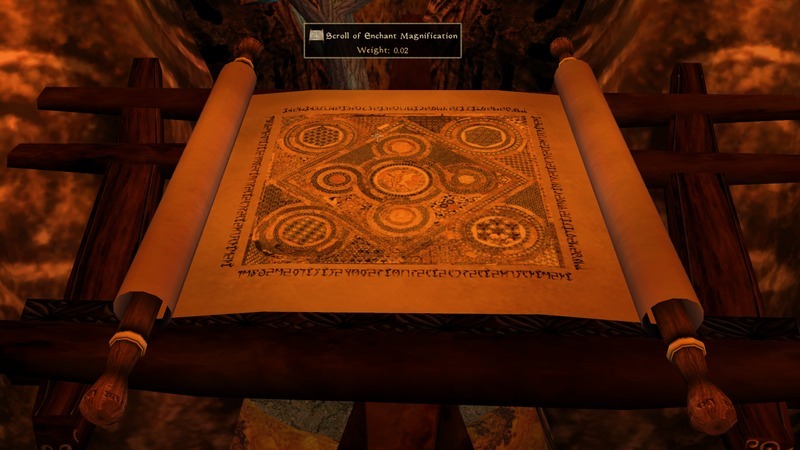 There are also many pages strewn around the world, each summoning a daedra of a single type. Some of these books are involved in quests. All Uvirith’s Legacy amulets and rings use textures from Daduke’s Rings and Amulets, and all keys come from his Key Replacer. All new clothing is unique, including the full set of Aged Cephalopod Armor by Mr_Malcontent – some have scripted effects. I used Hurdy Gurdy’s female robe mesh to create a female version of this robe. Verena’s robe uses NoLiv’s mesh for the female version. I also made her a matching set of shoes and gloves. You’ll find Gothren wearing this robe if you haven’t killed him yet. If you have, you’ll find it in his trapped combination-lock chest along with his seal of office. The robe has a scripted reflexive shield. If you’re hit in combat, a ten second shield of that attack type will pop up. Gothren also benefits from his robe’s effects, so be prepared for a tougher fight. You’ll find twelve different types of portable chests around the tower, six inlaid wood and six bronze. Inside each chest is an icon of that chest. If you transfer the icon to your inventory, you’ll pick up the chest. Make sure you empty it first, or you’ll lose your stuff! Dropping the chest will convert it back into a chest again. The first time you activate it, it will give you options to adjust its position. After that it works like a regular chest until you pick it up again. Note: not all of these chests are portable (for example if they’re owned by an NPC). Only the portable ones have chest icons in them. Uvirith’s Legacy adds many books to the game, each with unique covers, and are also included in the library book-sorter. 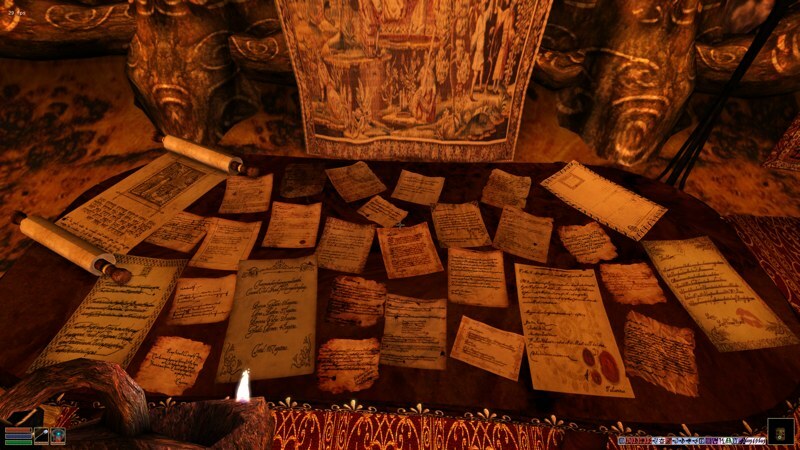 All notes and scrolls also have unique textures. I’ve also included a small selection from Books of Vvardenfell, but to add them all to your library, you need to download BoV itself. 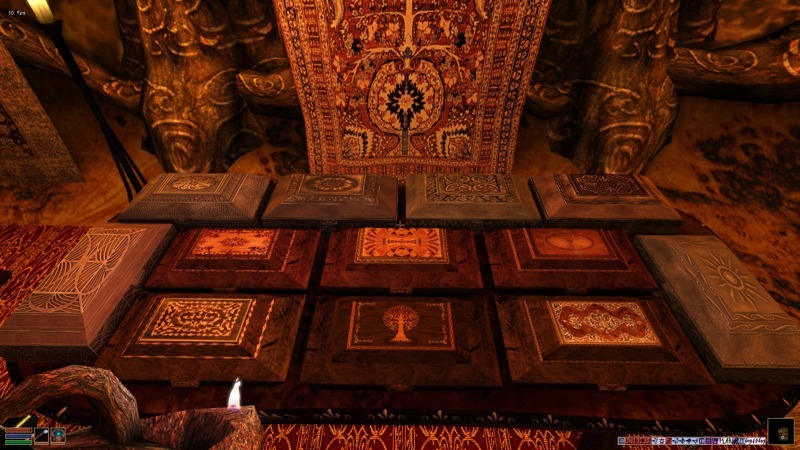 A new Brown Book of the Telvanni replaces the old one once you become Archmagister. Old copies will be replaced with the new version. Not only does it have your name in it, it also outlines some of your conquests. The book also contains info relevant to Zhariphel Mine. This new Brown Book mesh is by Connary, made for LGNPC Tel Uvirith. 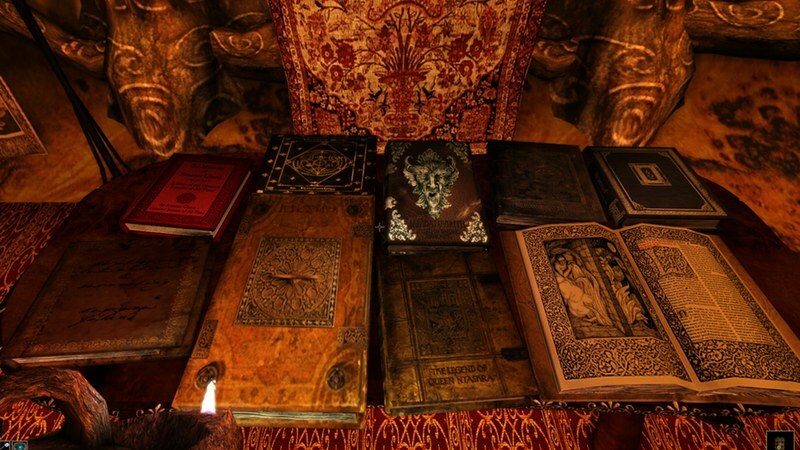 These books originally allowed free spellmaking and enchanting services in Uvirith Inside. I’ve changed this to half-cost for better balance, since spellmaking and enchanting are two of the few money sinks available to late-game players. The magical items given as you go through this quest-line have had their benefits reduced to bring them more in line with what players expect to get from quest rewards. The Sceptre of the Sepulcher is now a weapon that gives the player a minor magical benefit when equipped. I’ve removed the extremely valuable loot found around the dungeon (added by UI) and on the NPCs involved in the Missing Prisoner quest. For example, it made no sense to have a thief clunking around in a full set of ebony armor. I replaced this with a set of Telvanni bonemold armor so he can sneak around pretending to be a guard. I’ve also made Trenam Faren’s fine sword collection impossible to pick up. These have been magically locked, and I don’t care how evil you are, you shouldn’t steal from your tower staff anyway. Uvirith’s Legacy 3 adds a hidden quest to help him find the sword he lost during his move to Tel Uvirith.